With Herstmonceux packed away after its trip to Brighton show the other week attention is now on getting Tarring Neville ready for its trip North to the Manchester model railway show. As I said in my last post there are some new items of stock. The wagons in the picture above are a new rake. 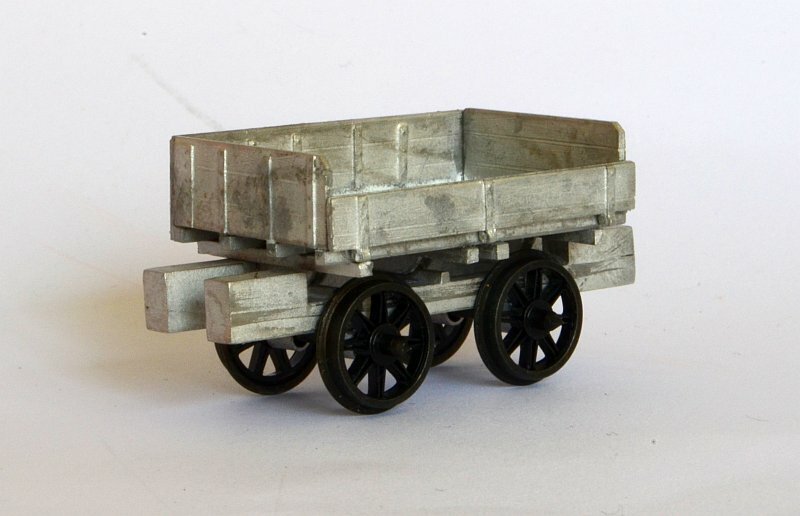 These are based on various internal user wagons found at Swanscombe cement works. Strangely they have no brakes! They were simple enough to knock up using some Cambrian and Parkside underframes I had knocking about and some bits of plasticard and microstrip etc. Another rake of wagons I have been working on (although i’ve only finished one) is some RTmodels wooden contractors wagons. These I have modified to be like some that were again at Swanscombe. I shortened the original dumb buffers and added a buffer beam from some plastic rod and buffers from Lanarkshire Models. Just need to get the others finished. A new loco has also been added to the fleet in the form of a Hornby Sentinel which has had a bit of work done to it and some weathering. What is the make of the steam locomotive pushing the cemment is ready to run or from a kit. Also thanking for telling my girl’frend Pam how to put grass onto her dolls house farm diaries she bought a doll s house very similar to it in a shop in Bexhill. Hi Andrew, Its a Hornby Peckett that I’ve changed a few bits on.